... join the community building the coolest independent source of beer profiles. 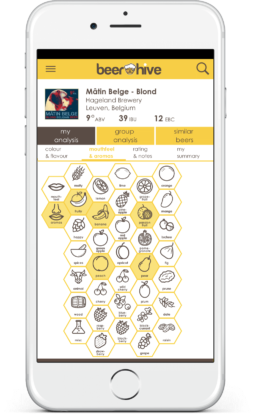 ... and understand how they really perceive the flavour of your beers. ... by turning your beer venue into a Beerhive 'Hotspot'. 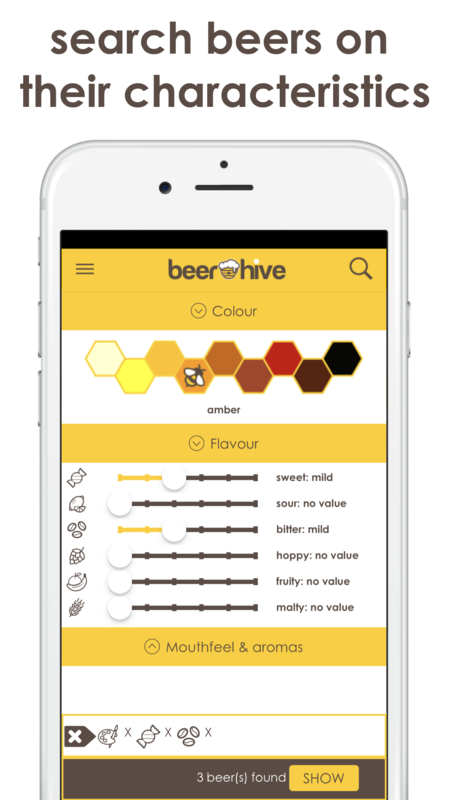 ... a beer and store your findings online. 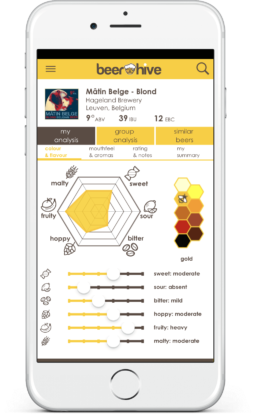 You'll have access to your personal tasting notes, always and everywhere, via your smartphone. 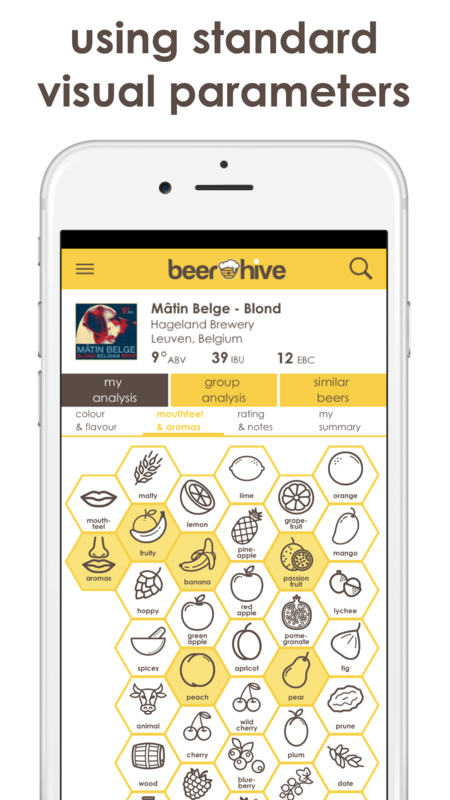 ... your findings with those of the brewer (if provided) and the community of other Beerhive users. 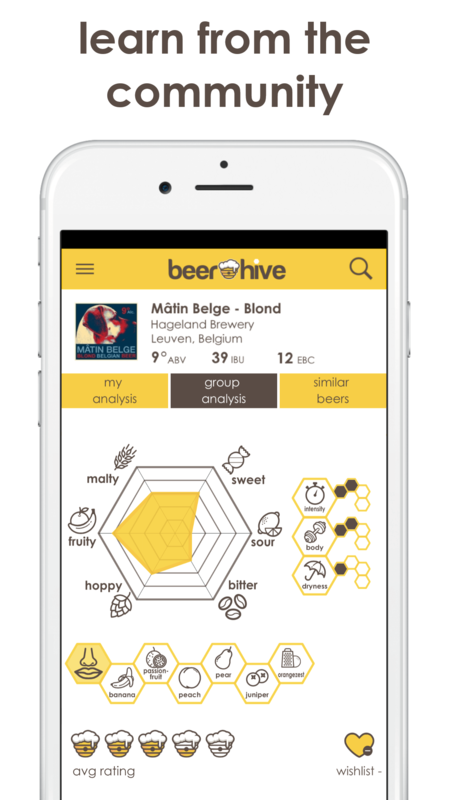 ... how your analysis differs from the community and further develop your beer tasting skills. ... which beers are similar to the one you tasted. 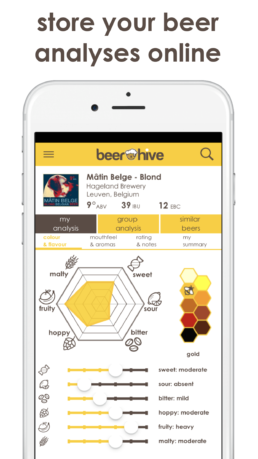 Beer styles become obsolete since the beers are compared on more than 120 parameters. 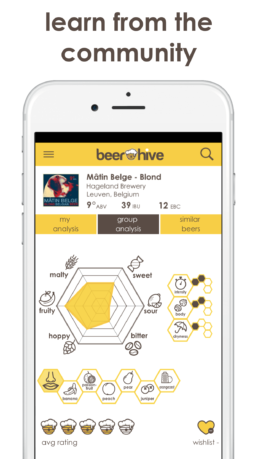 ... on beers you'll most probably like based on your preferences. ... and compare your analysis within closed user groups that you can create yourself. 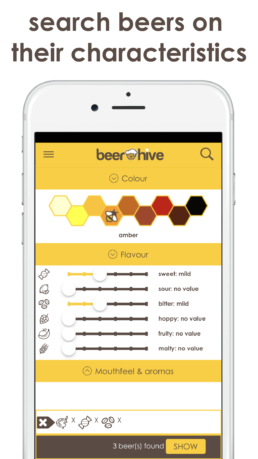 We love improvements based on user feedback, make sure to do regular updates of your app in the app stores. 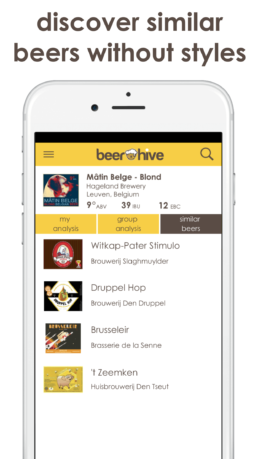 Based on the feedback of 4000+ users, these were our latest changes: ability to add missing beers – delete own beer analyses – sorting of long beer lists – multilingual support, we now have Dutch & English – better screen support for iPhone X. 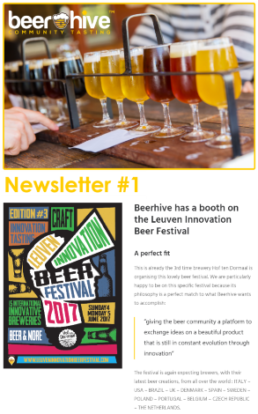 ... and get informed first on updates and beer innovation news.